Wow. Lovely shot. Is he/she alive? If so, how in the world did you get so close, or did you have a nice lens to help. 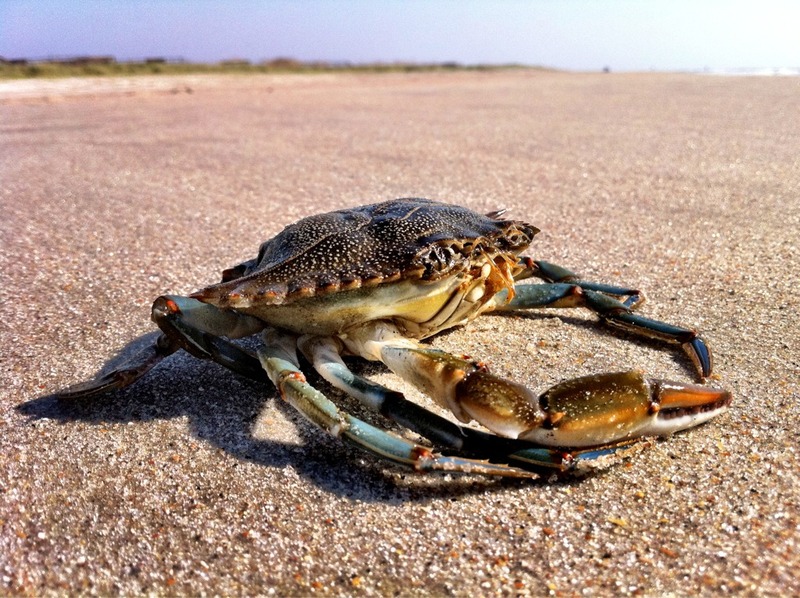 Crabs are often beautiful creatures, which you can see clearly, IF you get close enough. I found this crab this morning along the high tide marker. I was sitting on the beach when a seagull swoopedmdown about 10'yards to my left. Without landing, the gull picked at something , quickly dropped it, then ascended once again. I walked over to find out what the gull was investigating and then found this crab. I wasn't sure if it had any life left, but imtook it down to the water. It was dead,'somi positionedmjust above the water and took this shot with my iPhone. For as long as I can remember I have been fascinated with all wild creatures, big and small, beautiful or ugly, useful to humankind or not. Sorry for the typos- darn iPad keyboard. "so I positioned it" is he that should read.